Quintus has a wide experience with choirs both large and small. He is currently Director of Music of Chesterton Choral Society. 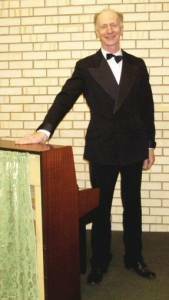 In the past he has conducted Saffron Walden Choral Society and Saffron Walden Operatic Society; he has also conducted festivals at which several school choirs combined, as well as directing many of his own musicals at school. He would be interested to hear from any choir or orchestra within a 25 mile radius of Saffron Walden.